ROSE HAS HER CAKES (450 OF THEM!) AND THE STAFF EAT THEM! There’s a lot of people out there who like Rose McGettigan’s buns! In fact, there are at least 450 of them. 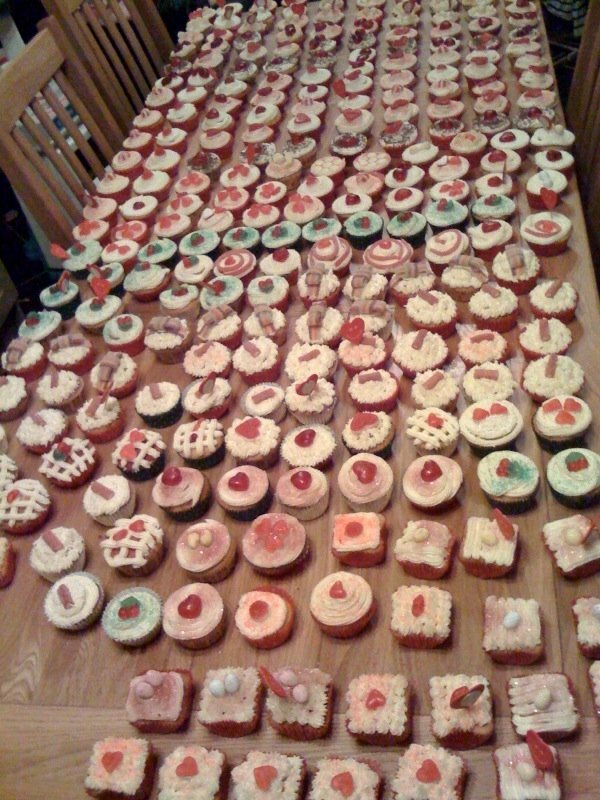 That’s how many cupcakes Rose sold for charity in just one lunchtime last week. Rose raised a superb €1,030 for the Irish Heart Foundation when she sold her cupcakes at the Department of Social Protection in Letterkenny where she works. “I never want to see a cupcake again,” said Rose when asked about her super charity cake bake. Rose, along with her family and friends, pitched in and baked the cupcakes while her colleagues kindly sponsored the ingredients. And Highland Bakery sponsored the plastic cases in which they were transported. Rose’s colleagues all paid tribute to her selfless bake-off and proved that you can have your cakes and eat them!